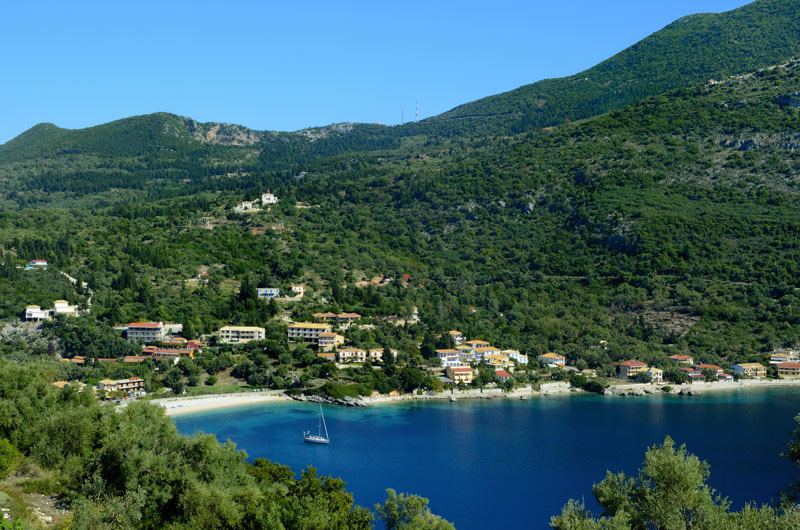 Lefkada’s south coast, sheltered by high mountains is broken up by a string of bays and inlets that are almost Scottish in appearance, except the sun actually shines here and there are no midges! 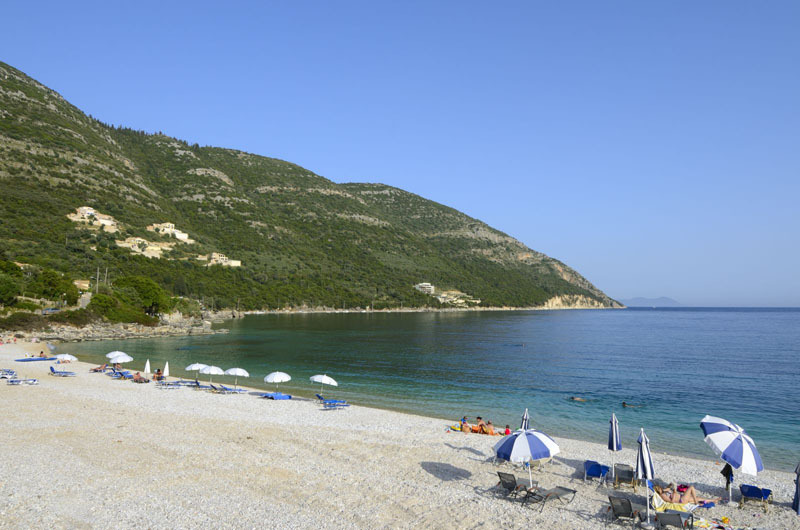 Mikros Gialos is perhaps one of the most picturesque and unspoilt of these “strings of pearls”, a traditional Lefkadan seaside village at the head of the bay complete with a gem of a beach. 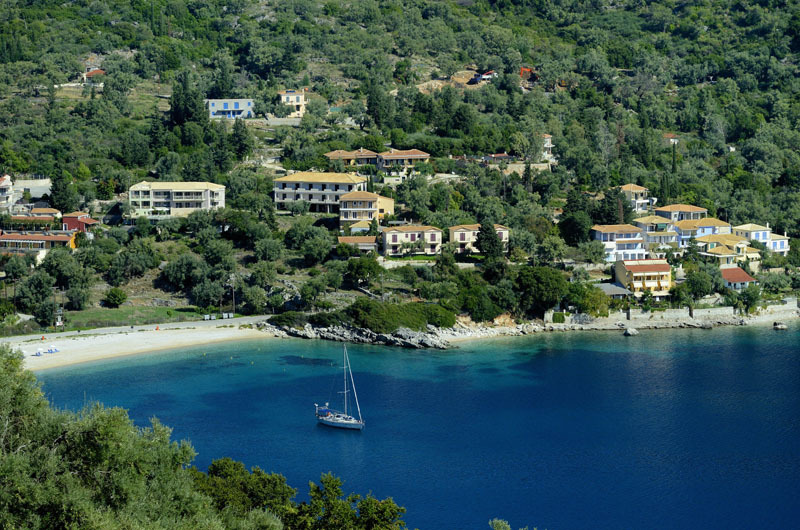 The apartments themselves combine this spectacular setting with simple comfortable accommodation. 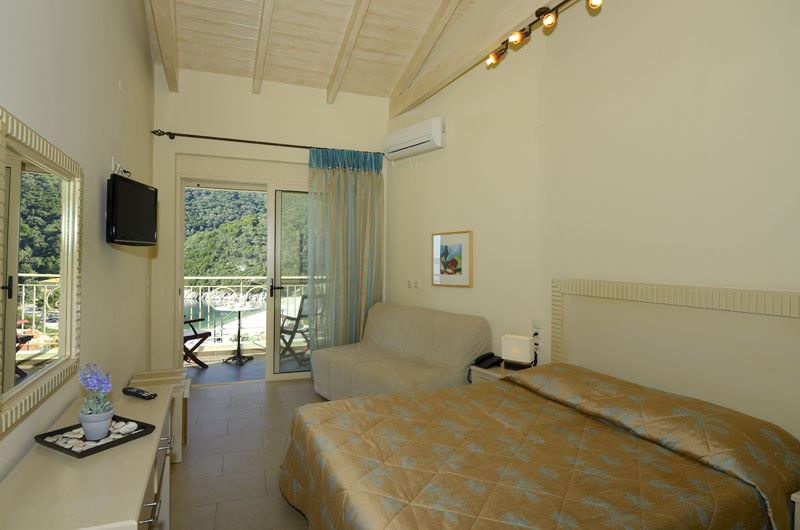 Newly built, there is a selection of studios or one-bedroom apartments. 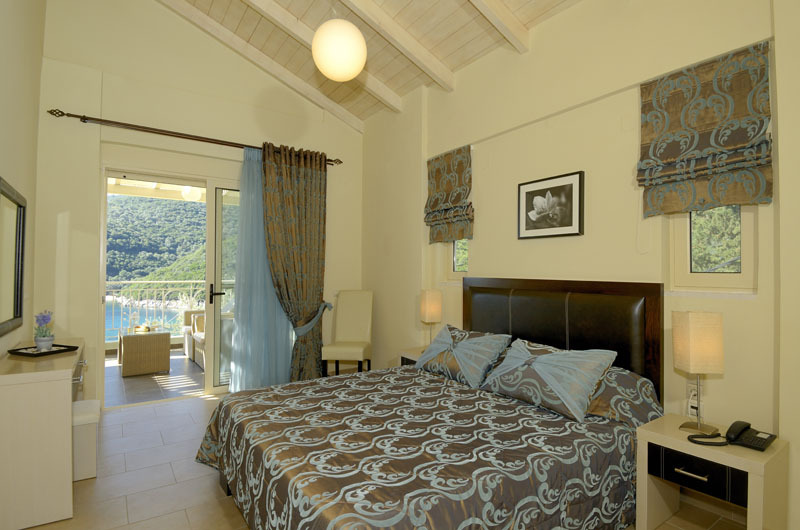 The latter have double or twin beds with a shower room, living room with a sofa bed leading onto the balcony. 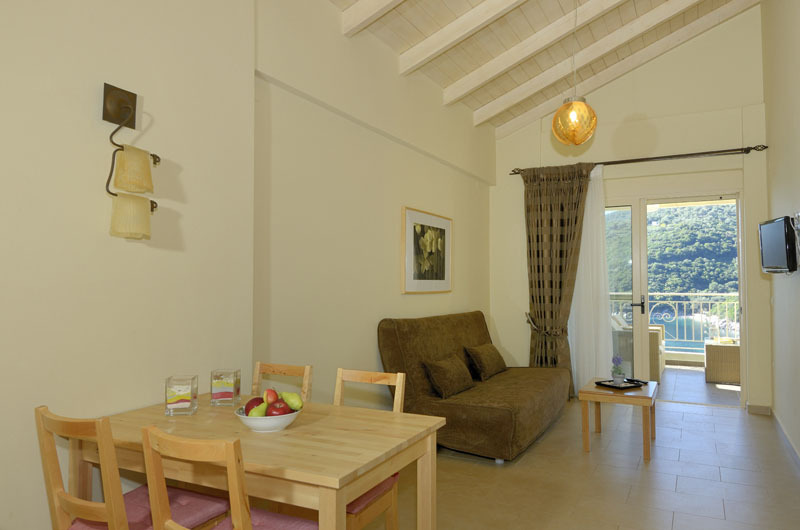 The studios are spacious and have double or twin beds, shower room and their own balcony. 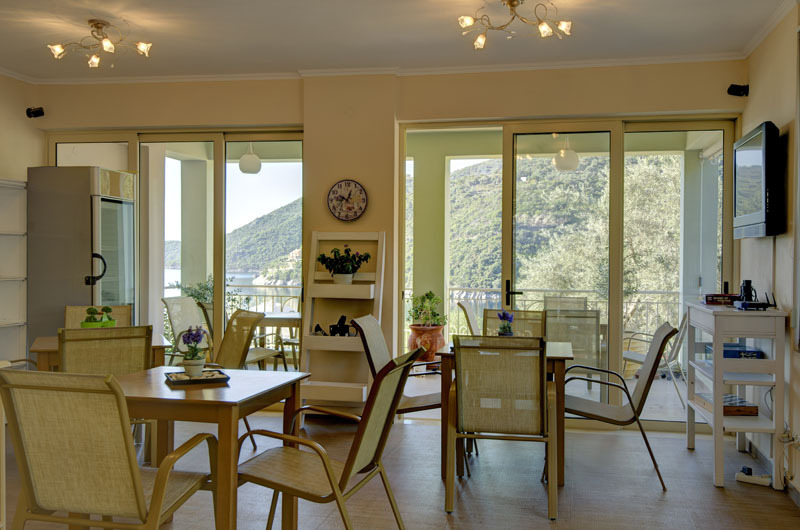 The design of these apartments ensures that each apartment is bright and airy, creating a cool comfortable living space with panoramic views across the Inner Ionian Sea to Kefalonia, Ithaka and a host of smaller islands. 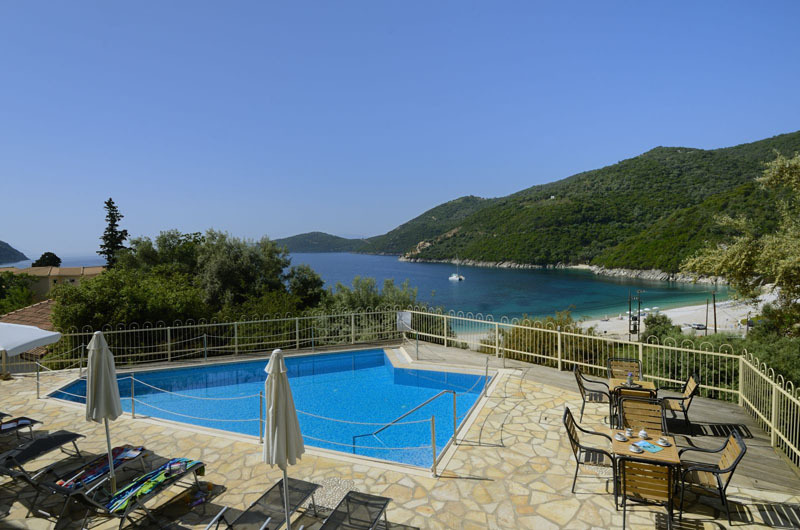 There is a good-sized swimming pool set on a raised terrace overlooking the bay. Sun loungers and plenty of dappled shade make it the perfect spot for that essential relaxing siesta. A stroll down the lane shaded by olive trees and bougainvillea leads to the waterfront with its tavernas and well stocked mini-market. 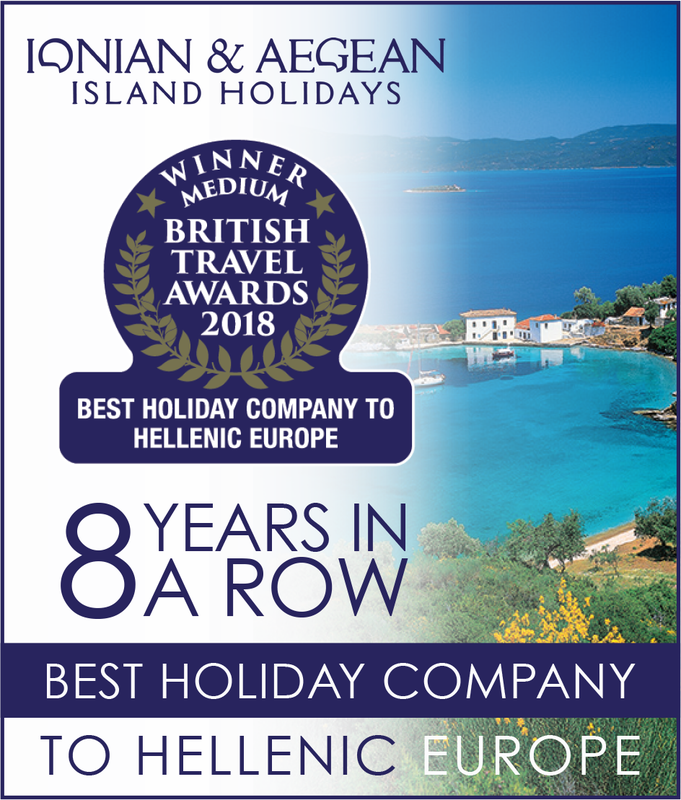 Perfect for a relaxing holiday, this is a great location in the bay of Mikros Gialos and an ideal place to enjoy all Lefkada has to offer.